The Canadian men's coxless four team won the gold medal at the Pan Am Games on Monday. 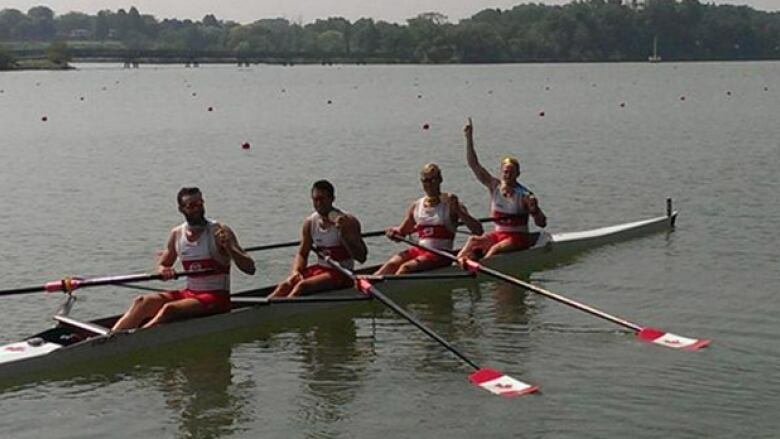 Canada has won gold in the men's coxless four at the Pan American Games rowing championships. Will Crothers, Tim Schrijver, Kai Langerfeld and Conlin McCabe won the final in six minutes 10.80 seconds, more than three seconds ahead of silver medallists Cuba. Earlier on Monday, Kerry Shaffer and Antje Von Seydlitz won Canada's first rowing gold medal at the Pan American Games.